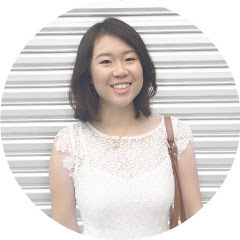 Beautee Beauty | Malaysian Beauty Blog: Guest Post: Health Insurance 101! Guest Post: Health Insurance 101! Have you heard of anything as daunting as shopping for health insurance? When I think of no-fun tasks, doing anything insurance-related just about tops my list every time. Choosing a health insurance plan that's right for you can be complex, but choose you must. In the US for instance, the law requires almost everyone who can afford it to purchase a health insurance plan. In England, though health care is primarily provided by the National Health Service, alternative treatments and private medical insurance are also available for those able and willing to pay. Taking charge of our own health care is part of enhancing our well-being and doing what we can to stay healthy. So just how important is health insurance exactly? We may be in good health now but at some point in our lives, we will need health and medical care. A trip to the hospital for instance, can be so much more expensive than we realize. It's a fact that quite a lot of bankruptcies are caused by medical and hospital bills. 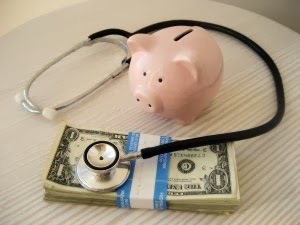 Having health coverage will protect you from paying very high, unforeseen expenses on your own. Many health plans also come with benefits like screenings, check-ups, shots and counseling. These preventive services will not only help treat diseases early, but more importantly, avoid them if and when possible. Fine print - having better understanding of some terminologies is crucial when picking the right plan. Premium - a fixed monthly payment you make to your insurance company for health coverage. You pay this whether or not you receive health care coverage on any given month. Deductible - an amount you must pay out-of-pocket before your insurance company begins to pay its share. Copayment (also ”co-pay”) - a specific amount you pay upfront for a medical service, prescription or supply. For a $300-worth visit at the doctor's, for example, you may pay a $30 co-payment while your insurance company pays the rest. Coinsurance - a percentage you are responsible for paying after you meet any co-payment or deductible required by your plan. So if your plan covers 70% of the medical bill, you may need to pay the remaining 30% as coinsurance. Maximum out-of-pocket costs – a specific limit to the amount you are required to pay for medical expenses in a year. Once you reach your maximum out-of-pocket amount, your insurance company pays for the rest of covered services. It's important to pick a plan you will be able to afford. Don't just consider the premium, but make sure you can afford the deductible and out-of-pocket costs as well. If you have favorite doctors or hospitals you want to continue seeing, check your insurer's network of providers. And also try to understand the benefits and coverage included in the plan - treatment, drugs, services and supplies. Understanding health insurance is a sometimes confusing, always boring task. Still, it's a task we must be responsible for. If you're trying to figure out what plan will work for yourself and your family, try to compare plans and read reviews online. You can also get free resources at http://www.myclaimsource.com. Ooh, and before I forget, here's a mini bio of Hannah: she's a Mama to 5 furry babies, a lipstick addict and outdoor enthusiast. Hannah runs MyClaimSource.com, a website dedicated to offering free insurance resources. Thanks Hannah for the enlightening and informative post!